As of April 2016 Dr Maria Hui will be working at our sister practices Dentist WA and Ranford Road Dental Centre. 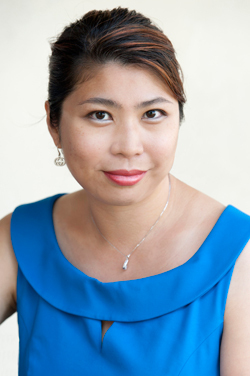 Dr Maria Hui has spent most of her life in Perth and lives in the local area. After finishing high school, her love for health science, helping people and doing intricate work led her to start dental school. She is committed to providing those in the Rivervale community with gentle dental care. Maria completed her dental degree with first-class honours at the University of Western Australia graduating at the top of her class. Over her years of training, she has won numerous awards in pathology, fixed prosthodontics, removable prosthodontics and restorative dentistry. In addition, she has also been awarded the Australian Dental Association prize as well as the Royal Australasian College of Dental Surgeons Prize in recognition of outstanding academic achievement. Since 2008, Maria has been a full-time resident of our sister surgery practice, Ranford Road Dental Centre, where she works Mondays, Wednesdays and Saturdays. Her interest and impeccable standards in restorative work, implants, extractions and general family dentistry have made her a dental practitioner who’s popular with many families in and around the area. Maria also has considerable experience in treating FIFO patients, especially where a lot of work needs to be done in lengthy single appointments. She coordinates treatment to suit the rigors of the FIFO schedule. Experience dental care from award-winning dentist, Maria Hui. Contact us to schedule an appointment with her today!